Face and neck liposuction is used with great effect by a skilled cosmetic surgeon like Dr. Verma to alter the effects of ageing in the areas of the chin and jawline for conditions such as turkey neck and double chin. Although commonly referred to as liposuction, the procedure is perhaps better described as liposculpture and involves the removal and artistic recontouring of fat deposits and the tightening of the skin. It’s important to note that face and neck liposuction is not to be considered as a substitute for weight loss. Face and neck liposuction is a minimally invasive cosmetic surgery procedure which involves Dr. Verma inserting an ultra-thin specialized cannula under the surface of your skin. The canula removes any fatty deposits under the skin. It also initiates a process of remodeling of the matrix of skin causing the skin to tighten. The advantage is that results of a more youthful appearance are gained by picking up and smoothing of the neck and jawline without skin removal and a lift procedure. Dr. Verma conducts face and liposuction procedures at Honeysuckle Day Hospital, a purpose-built, fully accredited cosmetic day hospital located in Newcastle. Face and neck liposuction is performed under twilight sedation. The procedure is a day only. Costs will vary depending upon each individual. At the time of your consultation, Dr. Verma will discuss all details of the procedure and any of your questions. You will then receive a quote with the cost of the procedure after your consultation with Dr. Verma. 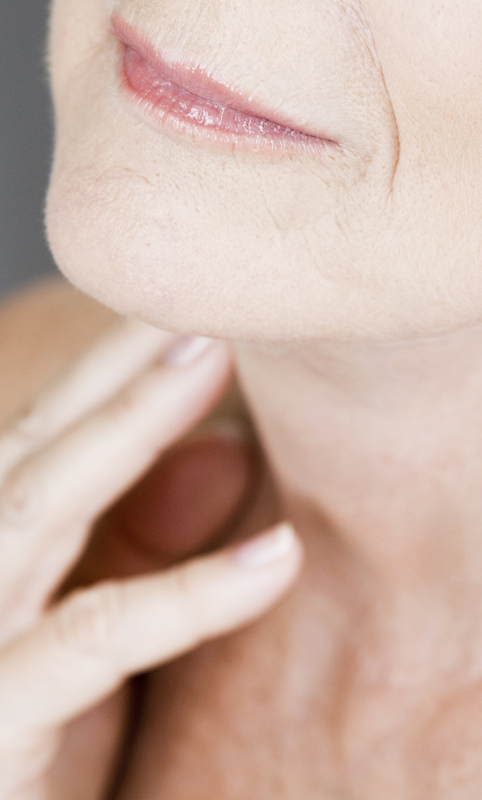 Not sure if the face and neck liposuction is right for you? We advise booking a consultation with Dr. Verma. It might be that there are other complementary procedures that would provide a better result. With his expertise and care in helping you to gain the result you want, you will be able to work together to create a personalized treatment plan individually tailored for your needs. Call (02) 4001 0511 to talk to our friendly staff and book a consultation with Dr Verma. Do I qualify for face and neck liposuction? Face and neck liposuction is suitable for those who have excess fat under the chin, fat along the jawline or in the neck. For older clients, it may be used together with other procedures to account for greater skin laxity in addition to fat deposits. Dr. Verma will be able to discuss this with you at your consultation. Who is a good candidate for face and neck liposuction? Ideal candidates for face and neck liposuction are those under 55 years as the areas of the face and neck that are treated will deflate with age and the skin’s natural elasticity is needed to retract and conform to its newly sculpted shape. During your consultation, Dr. Verma will discuss what it is you hope to achieve from face and neck liposuction and may recommend complementary surgical or non-surgical procedures to achieve the result you are seeking. When you come for your consultation we ask that you please avoid wearing make-up or sunscreen to allow for a correct analysis of your face and skin. It’s very useful for you to bring close-up photographs of a younger you to the appointment as this will assist Dr. Verma in understanding what you hope to achieve from your procedure. Please note that Dr. Verma will take photographs during your consultation. Photography is vital in the cosmetic surgery experience and allows Dr. Verma to document and share with you your progress pre- and post-operatively. Such pre and post images help other potential patients like yourself to decide whether this is the right procedure for them. You will be encouraged at the consultation to ask Dr. Verma any questions or clear any concerns you may have regarding face and neck liposuction. What is the cost of a face and neck liposuction? What is included? Costs vary for each individual and will be discussed with you at the consultation with a formal estimate provided to you after your meeting with Dr. Verma. Costs for the procedure will include your procedures as well as post-op consultations for up to 3 months following the procedure. How is face and neck liposuction performed? Are there different techniques? Face and neck liposuction is performed by the insertion of an ultra-thin cannula placed just beneath the surface of the skin. Incisions will be placed below your chin and/or below your earlobes. What are the side effects of face and neck liposuction? The most common side effects experienced by patients after face and neck liposuction include numbness, tingling, bruising, swelling, a collection of fluid under the skin and discomfort. What are the risks and complications of a face and neck liposuction? Complications are rare from face and neck liposuction and can often be the result of a patient not being a suitable candidate. The potential complications include dimpling or puckering of the skin, asymmetry, nerve damage or an unsatisfactory result due to insufficient skin tightening. You will be provided with detailed instructions by Finesse Cosmetic Surgery with regards to care of your sutures, wounds etc. You will also need to wear a ‘post-op garment’ on your neck and face for 4 weeks full time after the procedure and 2 weeks part-time. This is a snug fabric mask for your face and neck to reduce swelling and bruising after surgery which also helps to minimize pain and achieve better-looking results. You can generally return to normal activities within 1 to 2 weeks after face and neck liposuction. There is swelling for about 4 weeks after the procedure and you will start to see results within 2 weeks to 12 weeks following your surgery. Dr. Verma will see you 3 days post the operation and then organize subsequent follow-ups according to how you recover. All follow-up visit costs up to three months after the operation are included in the cost of the surgery. Revision surgery for any complications that arise from your procedure will carry extra charges. How long do the effects of face and neck liposuction last for? As a general rule, you can expect the benefits from face and neck liposuction to last for 5 years if your skin has good elasticity and if you don’t gain or lose weight.